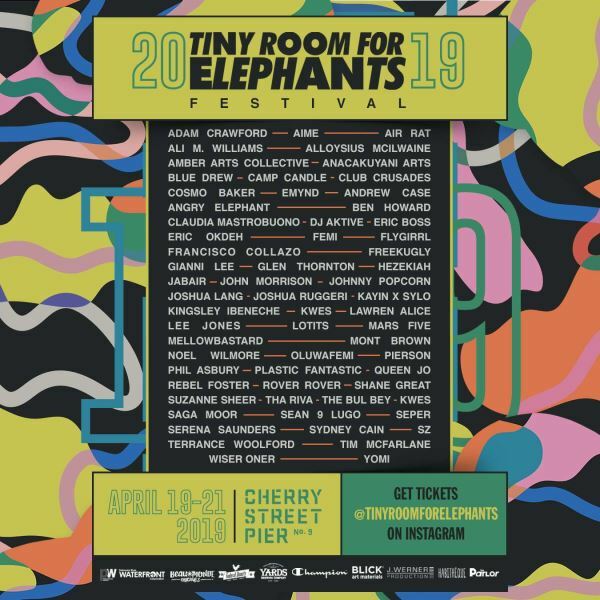 Cherry Street Pier resident artist’s Tiny Room for Elephants is taking over Cherry Street Pier in April to present the Tiny Room for Elephants Festival (#TRFE19), a month-long, collaborative, multi-genre art and music experience. 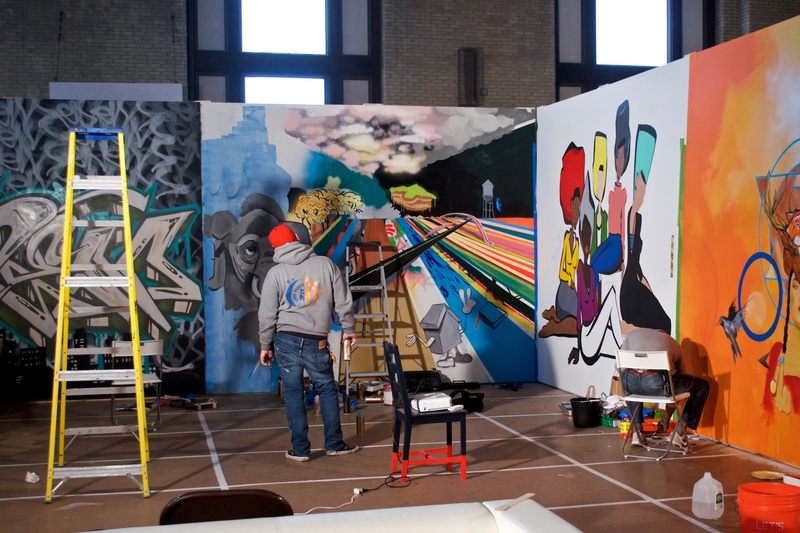 At its core, #TRFE19 is a living art “gallery” that incorporates styles and mediums of 25+ Philadelphia artists who will be painting and installing art live from April 8th to April 17th at Cherry Street Pier. 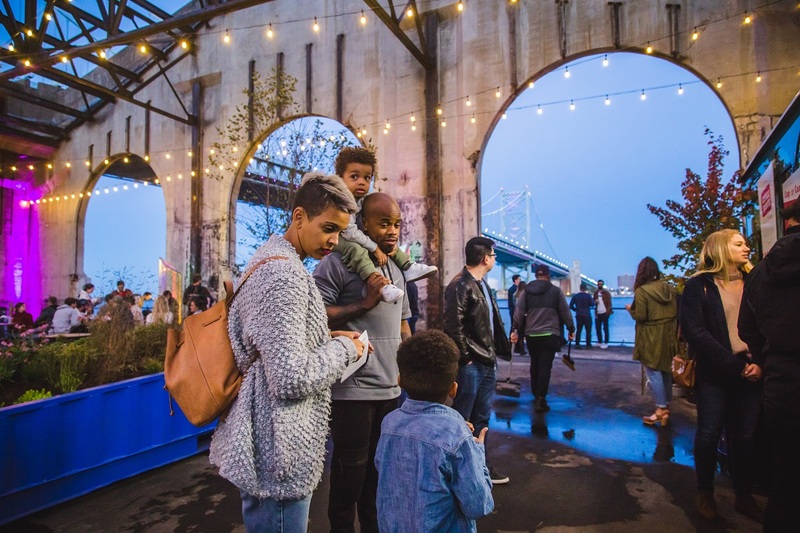 The community is welcome to come to the Pier during the construction of the gallery to connect with local makers and see the creative process first hand. This will culminate in a weekend-long celebration on April 19th, April 20th and April 21st with live music, DJs, producers, panel discussions, and interactive elements. Entrance to the festival is free and open to the public. Some events are ticketed. Check the schedule for the details! Fun stuff: Daybreakers PHL // Party Animals event (Tickets sold separately for Daybreakers PHL. To purchase tickets, click here). Live screen printing with Do It Now! Entrance to the festival is free and open to the public. Select festival experiences are sold separately. To purchase a TRFE19 VIP ticket that includes a screen print TRFE tee-shirt and print, click here. For tickets to the Opening Party with an open bar on Friday, April 19, click here. For tickets to the Daybreakers PHL // Party Animal event on Saturday, April 20, 2019 click here. For tickets to the Kid’s Sip n’ Paint on Sunday, April 21 click here.